Paros is the third in size island of the Cyclades and is located west of Naxos, from which separates (5 mi) wide approximately 3 miles. 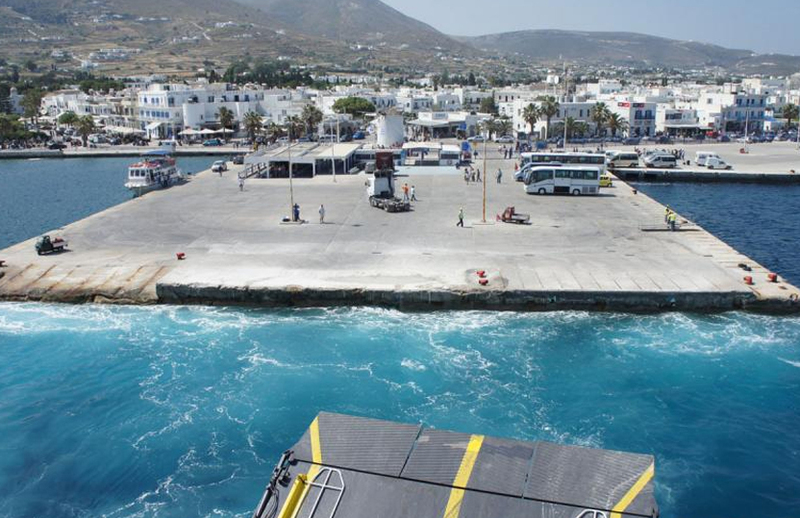 The island has been operating since 1992 the Paros nautical club headquartered in Livadia, Parikia. Active in water sports with sections 1, sailing bathing triangle-offshore, but with cultural or environmental actions. PAROS because of strong winds, offers the possibility of developing similar sports such as windsurfing. The main beaches where such activities are those of Punda Beach and Golden Beach, where there are learning centers and rental equipment. The port in place of Paros Parikia is the only port of the island. The taxi is the easiest and most expensive way of access to telephone the 22840-21500. The bus is the most popular and the most inexpensive way to experience the island of Paros. In Parikia, the bus stop is located on the waterfront, where you can find hanging all routes. The frequency of sailings though depends on the season in General is quite satisfactory and accurate and connects many sites of the island. For information on arrivals and departures at the port of Paros Parikia port the contact to the phone 22840-21240.
daily departures from the port of Paros for Piraeus and Rafina. Routes that connect the island with the rest of the Cyclades, Syros, Mykonos, Naxos, Ios, Santorini and tinos, Amorgos. The ferry companies approaching the port of Paros and have started from the port of Piraeus is the Blue Star Ferries, Hellenic Seaways and Aegean Speed Lines. Air Champion24 .com offers ferries to and from Paros on all services performed from any port of Greece. You can easily search and choose your ferry route that it serves, easily and instantly. The booking takes place in real time using your credit card or by making a booking with the help of the staff of our Office.